I am by no means a hair guru. I love doing my hair but I usually do pretty much the same thing ever time I style it, for the most part. One step I never leave out pre-blow dry or just when I need a little boost of life is hair oil. It makes my hair look so much healthier and shinier, especially since mine is so dark. I have been dying to try out Ouai products because I am a Jen Atkin fan and think she is the queen of hair. 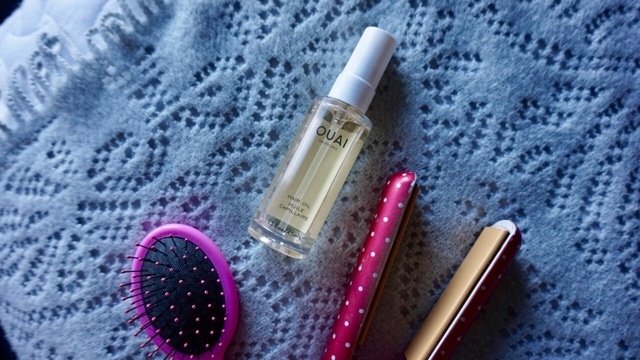 Of course, I didn't need a darn thing when the Sephora VIB sale came around, but the 15% off was calling my name and I was almost out of my current hair oil, so it wasn't hard to twist my arm and try Ouai's option. Oh my goodness, what a find! First of all, I loooove the smell. It's floral but fresh and just amazing. I finally understand what everyone is talking about when they talk about the scent. It is an absolute delight for the nose! Secondly, this hair oil is also definitely the best I have ever tried. It comes out of the pump a bit liquid-y, but I think that is the secret to how it makes my hair look healthy and shiny, without weighing it down at all. I love using it on my damp hair before styling, or even if my ends look a little dry and I need a pick me up. Another plus is that the bottle is huge, so I know I will be using it for a long time before I need a refresh. I'm happy to say I now understand the hype and I'm into it. Hype it up. Ouai deserves it. When I run out of my other hair-styling products, I will most definitely be trying more from the brand. Have you tried anything from Ouai? I'd love to hear your thoughts! I've never tried but I also saw it on Sephora and have been so tempted! Need to try! Honestly, the smell alone is incredible! 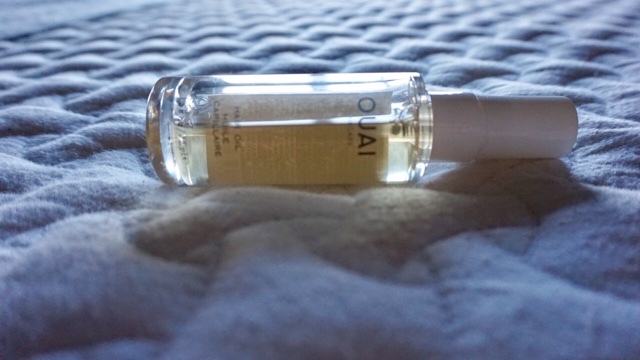 I've never tried anything from Ouai but I love hair serums and oils so I must give them a shot! If you love oils, you definitely need to give this a shot! I'm the exact same way. I am almost upset how much I love this oil, because now I have to try more! Yup! I love Ouai too. My fav is the foaming 'dry' shampoo. The powdery sprays never actually make my hair feel cleaner, but this does. Ahh,I have been DYING to try the foaming dry shampoo! I'm glad to hear you love it, I'm definitely going to have to try it now! I've never heard of this particular brand but I'm a big fan of hair oils! I love hair oils too! My other long-time favorites are CHI & Not Your Mother's.